Hello everyone! In this week’s entry I’m trying something a little bit different. This post is a video of Brittany and I packing for our backpacking trip in King’s Canyon National Park, but I’m also including some extra info to go along with the video, as well as links to some of the things we brought along with us. I took what was originally ten minutes of rambling and awkward camera angles and turned it into seven and a half minutes of slightly less rambling, slightly less awkward camera angles, go me! So in order to expand on what is shown in the video I figured I could just list out some extra info underneath about the things I thought were most important. I recommend watching the video first and reviewing the notes if you’re interested in something specific. If you have any questions about anything I didn’t explain, or would like more detailed information about anything, feel free to leave a comment or shoot me a message. Disclaimer: Please ignore my unmade bed and general state of my room. Brittany surprised me with the filming of this video and while my room is normally a mess anyway I would’ve straightened it up for you guys! Packing for a backpacking trip in King’s Canyon: If you want to know more about how I planned our trip to KCNP, you can read more about that HERE. We stayed at a hotel in Fresno, CA the night before: If you want to know more about what we did the night before our adventure, Brittany wrote an article about that HERE. 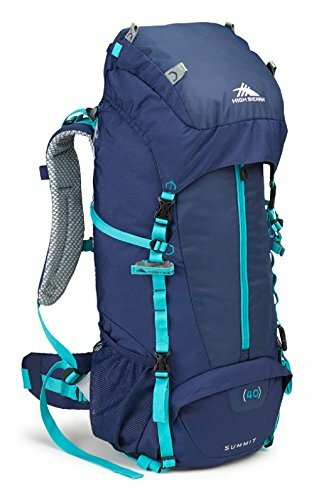 Our Packs: (Cruise’s Pack / Brittany’s Pack) We both have High Sierra Internal Frame Backpacks. They are lightweight and have a ton of ergonomically designed features. While they are very similar Brittany’s is actually specifically designed to fit the curvature of a woman’s body as well. 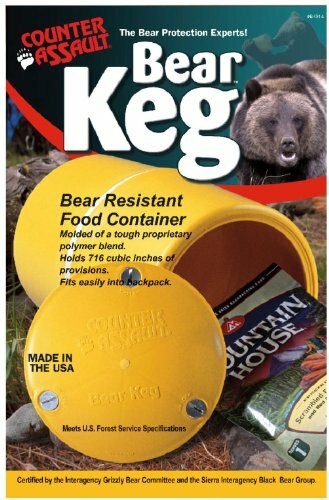 Bear Canister: (Counter Assault Bear Keg EX) I originally thought the canister I bought was too large, but it’s actually the perfect size. There’s a lot more than food that you may want to store in it so it’s nice to have a little extra space. Also when I was a bit lazy and didn’t feel like cleaning up dishes right away I could throw them in there and lock it worry free. The keg instructions recommend using a coin or key to lock and unlock the bolts, but I really had no problem just doing it with finger pressure, so that was a huge upside for me. Food: We brought a variety of snacks since Brittany and I are ALL about food. We didn’t buy our preferred food for this trip, but normally I would recommend Alpine Aire meals. They are comparable to many of the other camping brands, but I love their selection and they really have a much wider variety for different dietary restrictions (very helpful since Brittany is a vegetarian). 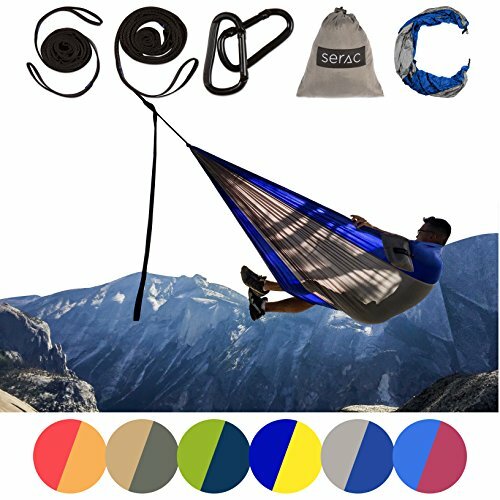 Hammock: (Serac Hammock w/ Tree Hugger Straps) I got this hammock in my first Cairn box, I knew it was in that months box and it was the main reason I finally subscribed. I am so happy with this purchase. This hammock is amazing and the only reason I would consider replacing it would be to buy the XL size so Brittany and I could use it together. 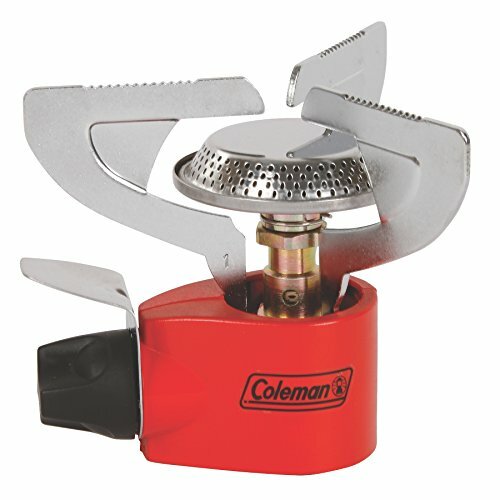 Cooking: (Coleman Peak 1 Stove and Stanley Adventure Prep and Cook Set) I really love this stove. It’s ridiculously cheap so I thought it might be flimsy, but so far it’s held up really well and I feel like I’ve already got my money’s worth. When I bought it I didn’t realize that it doesn’t have a starter though, so I do have to remember to bring a lighter as well. The Stanley set is perfect for cooking for two people and it would probably work out for even more. Realistically though we never use any of the “prep” items so I’ll probably be leaving them home next time we’re camping. Headlamps: When you’re camping with more than one person there are many things that you can scale back on instead of bringing double of everything. Headlamps, or lighting in general, are not one of those things. Make sure everyone has their own light source that they are comfortable using and can have access to easily. I love my headlamp, For under $20 it has 5 settings and puts out as much or as little light as you need. 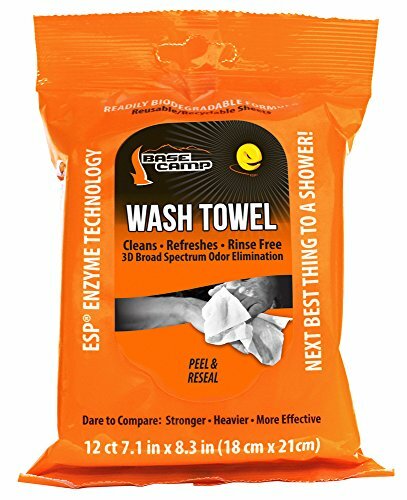 Hygiene: (Base Camp Wash Towels) Buy these now. They are perfect for everything from cleaning your hands, to washing the dishes and they can really help you refresh after a long sweaty day of hiking. It feels great to wipe yourself down before climbing into your sleeping back at night. (Toilet Paper) It’s very easy to underestimate how much garbage we generate as humans. Bringing as little of that as possible when you are going to pack out all of your trash is important. Take things out of unnecessary packaging before hand. This roll-less toilet paper is a perfect example. Cash: In this case, mo money does not equal mo problems. 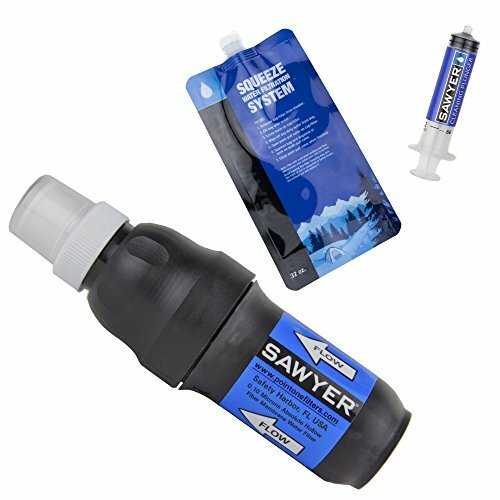 Water Filtration: (Sawyer Squeeze) Cheap, effective, and compact. The Sawyer Squeeze is a really stellar product. It filters out basically anything you can throw at it and is super easy to clean as well. We also love that we can just use the extra bags to carry water over drier stretches of trail as well. Tent: (REI Co-op Passage 2) As stated in the video, you will see much more of our tent in the future, but in case you’re curious feel free to check it out now. Also as mentioned, I do have the additional footprint for the tent. I want to keep that tent in as nice a condition as possible for as long as I can, so the footprint really helps on rougher surfaces. Sleeping Bag/Mat: (Teton Trailhead +20F / Klymit Static V2)Not really shown in the video, but I love my sleeping setup. I’m a tall guy (6’2”) and a poor sleeper, but my current setup really gets the job done for me. I recommend both this mat and bag. I know this post is pretty long, but I hope the way it’s set up made the information easier to digest. If you liked this article/video hybrid, please let me know in the comments. I actually had some fun writing this, I felt like I was doing the directory commentary for my own life or something! If you have any questions once again please let me know, I’d be happy to help with any gear related questions and if I don’t know the answer I’ll do my best to find it! "I get ideas about what's essential when packing my suitcase."